Which color option would you choose? Last month saw the surprise unveiling of a special edition prancing horse, dubbed the . 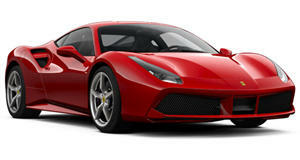 But if you want one, you need to be a member of one of Ferrari’s motorsport programs reserved for client racing drivers. If you do meet that criteria, you can finish your 488 Pista Piloti in a choice of four colors: Argento Nurburgring, Nero Daytona, Blu Tour De France, and Rosso Corsa. Only the latter flagship finish was shown in the official reveal photos, but Ferrari has now revealed how the racy prancing horse looks in alternative colors. Distinguishing the Piloti version of the are Tricolore racing stripes that blend particularly well with the blue paint finish. Combined with the number “51” as a homage to AF Corse’s no. 51 car that won the 2017 FIA World Endurance Championship adorning the side, it could even be our favorite color combination. Other visual changes include a laurel commemorating Ferrari’s WEC win and “PRO” lettering representing which class the car raced in. The S-duct is also in matte black, and the rear spoiler and vents are finished in naked carbon fiber. Inside, the seats are upholstered with a special perforated Alcantara incorporating the Italian flag in the central band of the backrest. The Italian flag’s colors have also been applied to the edge of the gearshift paddles and on the floor mats, and AF Corse’s number 51 has been applied to the base of steering wheel to match the exterior. Carbon sill trim and an identification plate highlight the 488 Pista Piloti Ferrari’s exclusivity. Like the standard 488 Pista, power is provided by a 3.9-liter turbocharged V8 that delivers 710 horsepower. Which color would you choose?